This entry was posted in Abir Mukherjee, book review, India. Bookmark the permalink. I really need to put one of Mukherjee’s novels in the spotlight, Bernadette. This series adds something new and different to the genre, and for me, that’s a real plus. I like the setting and atmosphere, and I respect the way it’s all evoked in the novel without it being done in an obvious, heavy-handed way. Glad you enjoyed this. 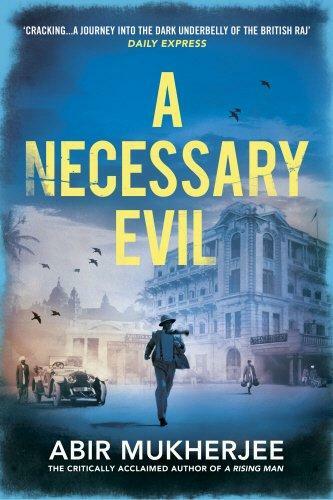 I loved the first in this series and I think Mukherjee does a marvellous job in bringing a period and place to life in an even-handed way. Based on your review I will be even more excited to read this when it finally comes out in the US next year! Very intriguing. I will have to look out for this series. Another book to put on that sagging list. I sent the review to friends who like historical mysteries.